In today’s hyper-competitive retail marketplace, innovative technology helps larger and online retailers stay relevant with consumers. Sadly, smaller retailers may think they suffer from a future of retail technology disadvantage because of cost and scale. However, as seen at the just concluded Consumer Electronics Show (CES), there’s plenty of tech to go around. Smaller retailers who find ways to profit from innovation and partner with retail technology experts to adopt appropriate retail technologies will be more likely to keep pace. To emphasize the point, here are several retail technologies highlighted at CES and elsewhere that we believe smaller retailers can adopt to stay competitive. Autonomous drone, robotic and self-driving vehicle delivery are not just for Amazon and big online retailers. Indeed, smaller retailers can join in the game through partnerships when the services roll out. Grocery and restaurant deliveries are likely avenues for participation. At CES, Toyota introduced its e-Palette autonomous vehicle concept. Boxy and to be available in varying sizes, the self-driving vehicles evoke a variety of uses for retailers. Perhaps most intriguing for smaller businesses is using e-Palette space as a pop-up store or restaurant on wheels. Thus, fast retail and mobile locations can replace or augment fixed brick-and-mortar locations. The increasing adoption of smart speakers will drive huge increases in voice shopping. Consequently, retailers who want to keep pace will need to factor voice assistants into their customer experience strategies. Smaller retailers that partner with large online retailers or develop clever approaches and products geared to attract voice shoppers stand to benefit. Kino-Mo’s Hypervision is one of the most attention-grabbing 3D projected hologram technologies on the market. 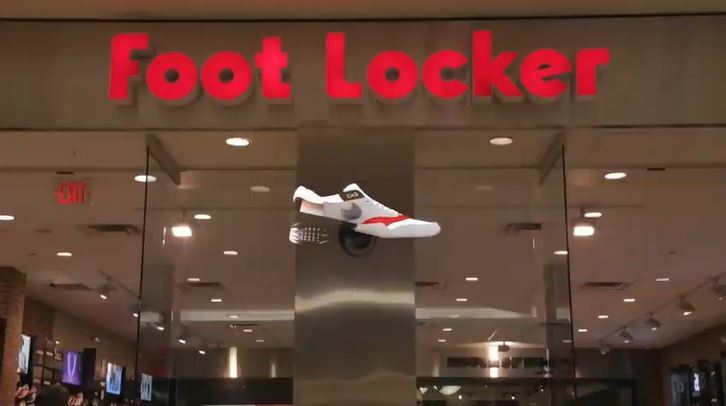 In fact, it’s sure to catch the eyes of shoppers. Furthermore, its accessibility and ease of use make it well-suited to smaller independent retailers. Remarkably, the easy-to-use software requires no special training and retailers design their own displays with lots of useable content available in Hypervision’s content library. Comactive uses a clear plastic box display to create 3D holograms that overlay physical objects. Thus, the displays interact with real-life products, creating an enhanced sense of realism that will impress and amaze. Significantly, its straightforward, intuitive design means there is little to impede the rapid adoption of the technology. AR overlays our view of the real world with computer-generated images and information. New apps offer exciting uses in retail including, previewing furniture in your home and trying on new clothes virtually. In addition, tech vendors at CES also demonstrated trying out makeup on your face virtually and changing your hair color. The rapidly growing healthy living and athleisure sectors can take advantage of new tech in health monitoring, vision testing and weight loss. For example, a smart mirror from Naked Labs tracks and encourages weight loss with a 3D image of your body. Start-up Sniffy proposes to deliver an interactive smell-o-vision experience to retail consumers. To explain, shoppers release numerous customized scents by interacting with screens attached to Sniffy dispenser boxes distributed around retail establishments. Think fresh-baked lemon tart, steak fry or new car smell to entice customers. 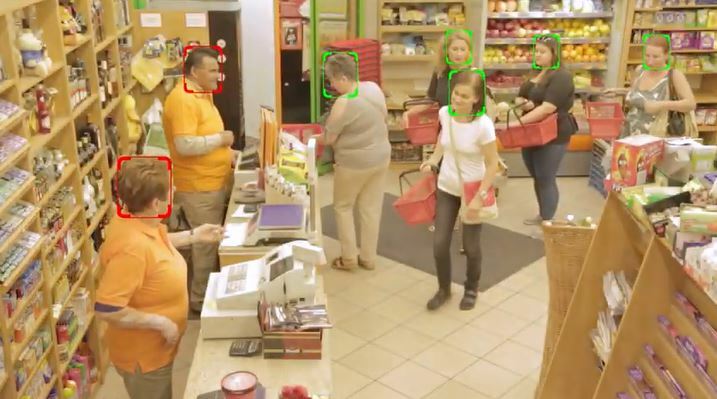 Facial recognition technology is becoming increasingly important in modern retail. Ultinous Retail employs a few standard cameras and software that analyzes video streams to tell you what to do before problems arise in the store. Hence, the system provides management alerts to optimize cashiers, improve conversion rates and reduce abandoned carts. The alerting algorithm is conditioned to recognize age and gender and identify known risks. In addition, anonymizing features ensure compliance with privacy laws. The Ultinous system provides a practical option to increase revenues with shorter lines and an improved customer experience. Smaller retailers need expert assistance to navigate rapidly evolving retail technologies. A long-term retail technology partner can help them define a technology strategy to take advantage of innovations like voice shopping, AR systems or autonomous delivery to optimize their value proposition. A retail technology partner will identify ways that new retail technology can increase revenues for your business and satisfy evolving customer needs. McKinsey & Company says that brick and mortar retailers have the opportunity to offer consumers an experience surpassing that of online stores. Ultimately, with the adoption of future of retail technology for small business, informed by a retail technology partner, they will. As the #1 small business retailer-focused MSP in the U.S., eMazzanti Technologies provides a one-stop shop for retail technology, including cloud services, network infrastructure and management, customer Wi-Fi, POS systems, PCI compliance, payment technology, merchant services, network security and emerging retail technologies.